Sleep issues. Anxiety. Insomnia. 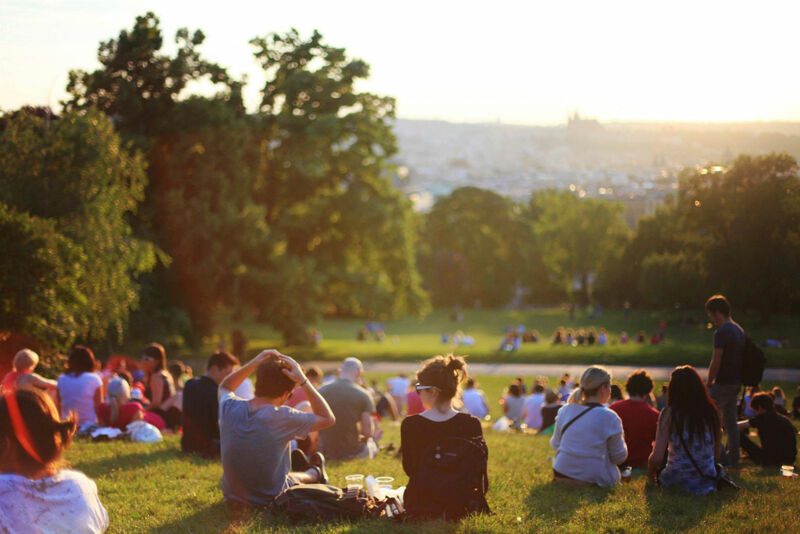 Let’s face it – modern life is stressful, and it can be incredibly difficult to find ways to comfort ourselves. Fortunately, a Mosaic Weighted Blanket can help! Mosaic’s high-quality, therapeutically beneficial blankets can quickly and easily help provide you or your loved one’s support and a tremendous calming effect. Read on to discover all of the benefits and features of Mosaic Weighted Blankets. Don’t have a lot of time? Click here to go directly to the product page on Amazon.com. Who Can Use A Weighted Blanket? What Else Can Weighted Blankets Help With? Where Should I Purchase Mosaic Weighted Blankets? Mosaic Weighted Blankets quickly and easily help relieve some of the harshest mental health disorders such as depression, anxiety, insomnia, and more. Additionally, the blankets can help aid in falling asleep and staying asleep, which can further boost your cognitive abilities and overall happiness. The blankets work by utilizing deep pressure touch (DPT), which is essentially the body’s natural response to getting a nice hug. This sensation makes us feel more relaxed, secure, and at peace. This sensation happens every time you utilize your Mosaic Weighted Blanket and occurs naturally without any dangerous side effects. One of the main reasons people turn to weighted blankets is because they provide a deep, calming, and relaxing sensation without any side effects. Unfortunately, any of the things that people turn to for relaxation purposes these days can have nasty side effects. When you put on your Mosaic Weighted Blanket, you can be sure that you are experiencing completely natural relaxation in a healthy manner. The blanket can be used anywhere, anytime, and always provides a naturally relaxing effect. When you decide to invest in a weighted blanket you want to make sure that it will last a significant amount of time. A Mosaic Weighted Blanket is made of high-quality cotton to ensure that it is breathable – warm in the winter, and cool in the summer. Additionally, the weighted beads are made out of toxic-free poly pellets and are evenly distributed, and each blanket is handcrafted in the USA. 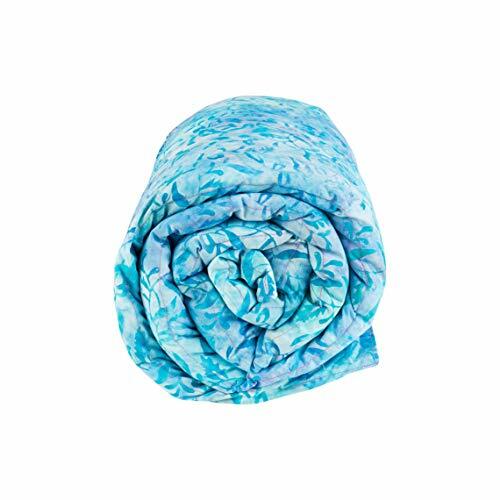 The blanket can also easily be washed and dried, which means that there is little to no maintenance required to keep your blanket in tip-top shape. Using a Mosaic Weighted Blanket is truly easy, which is one of the main draws of weighted blankets in general. First, make sure that you are comfortable with the weight you have chosen – it doesn’t feel too heavy, or too light. Once you feel comfortable with the weight, start by placing the blanket on your lap. From here, you can move it to various parts of your body – your shoulders, your legs, or even wrap yourself up in it. Utilizing a weighted blanket is a truly personal experience, and there is no right or wrong way to do it. Just make sure that you are comfortable and relaxed. This is a fantastic question – in reality, anyone can use a weighted blanket! Miraculously, a weighted blanket can help with a variety of ailments, from developmental issues, to simply helping you fall asleep faster and with better quality sleep. The only thing you need to be aware of is using a weighted blanket on a child. As the name would suggest, weighted blankets are heavy, so if your child is young and can not remove the blanket themselves, there can be serious complications. If you think your child could benefit from using a weighted blanket, talk to your pediatrician. The average guideline for most people is anywhere from 7-12% of your body weight. Any easy way to think about this is to simply take the first two numbers of your weight – so if you weight 150 pounds, you will want to look for a weighted blanket that weighs 15 pounds. Keep in mind that this is simply an estimate – some people enjoy weighted blankets that are heavier, and some turn to lighter ones for comfort and support. In addition to the most popular uses, such as relief from insomnia, and anxiety, there are a number of additional health benefits that utilizing a weighted blanket can provide. One of the greatest is increased cognitive focus – by allowing you to get a good nights sleep and help aid with depression and anxiety, you can actually improve your day to day cognitive focus by utilizing a weighted blanket. 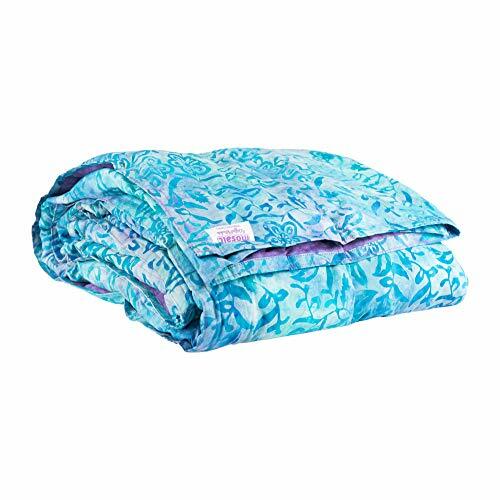 Additionally, the deep pressure touch simulation that weighted blankets provide are also commonly used by therapists to provide a near-instant calming effect for those who are suffering from Autism, Asperger’s, and other developmental disorders. 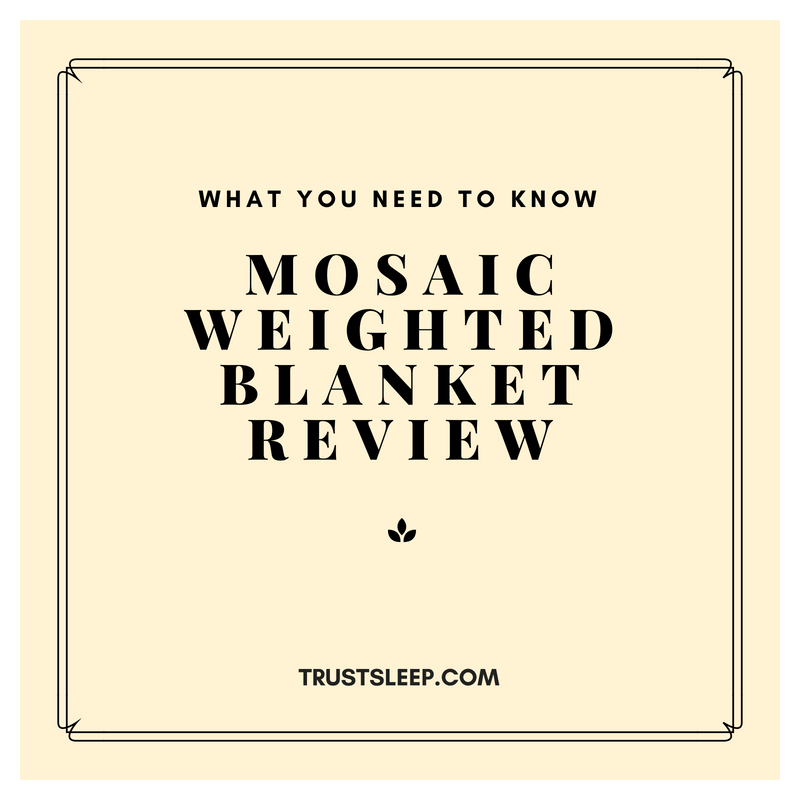 Many of our readers have asked us about exactly where they should purchase a Mosaic Weighted Blanket – they have asked us about CVS, Walmart, Walgreens, and even eBay. We believe you should purchase your weighted blanket on Amazon. Click here to view Mosaic Weighted Blanket on Amazon.com. Mosaic has crafted a truly stunning weighted blanket – one that can quickly and easily simulate deep pressure touch to help the body relax, thus helping with stress, anxiety, insomnia, and more. Additionally, the blanket itself is incredibly high quality – it is produced in the USA, with high-quality stitching, and safe, non-toxic poly pellets. We highly recommend utilizing a Mosaic Weighted Blanket today. Please keep in mind that this website does not provide medical advice. Do you have any experience with weighted blankets? If so, feel free to leave a comment below. 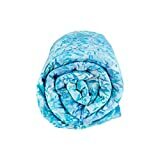 Click the button below to purchase Mosaic Weighted Blanket on Amazon.com.